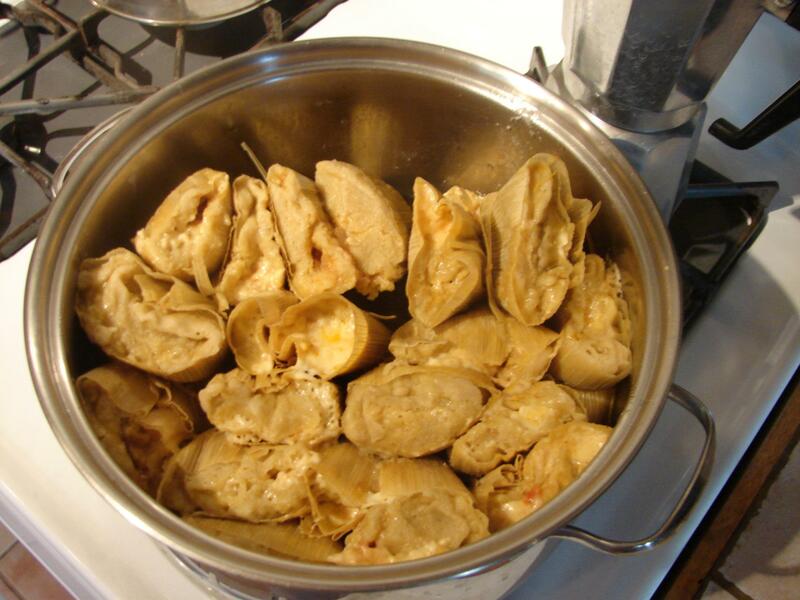 Your tamales look incredible! I want to make tamales! How long did it take? Was it like an all-day project, a weekend project, or something you could whip up in an evening? This entire sentence: “Sesame Maple Roasted Tofu with roasted beets and stir-fried sugar snap peas” is making my mouth water like crazy. I think that is what is on the menu in heaven. Plenty of Delicious-adding happening from this menu! Have a great week of cooking! You are too funny! I wish we could all be neighbors, a little commune of gluten-free-ness! Yummy communal dinners every night! I will come to CA and join you! The tamales were intimidating but they really weren’t hard, it just takes practice. It was kind of a half-day project. My husband made the green chile filling the night before. 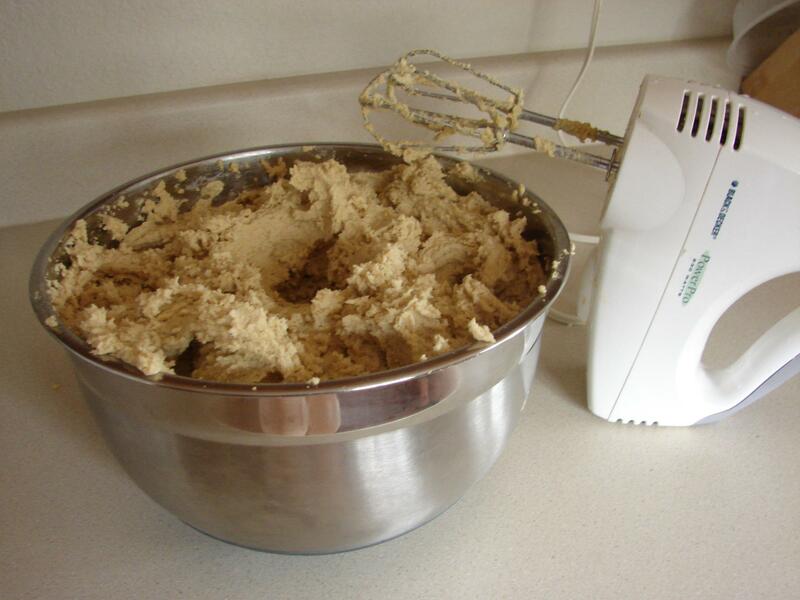 And then I think I started mixing masa around 3pm or so. Majority of the work was done around 7pm, but the steaming took a while because my pot was not large enough to fit them all and I only had one steamer basket that would fit in my pots. We made about 42 total with a recipe for masa that said it would make 2-3 dozen tamales. I didn’t finish steaming them until about 9:30 because they take about 50-55 minutes to steam. I froze the majority of them. It is worth it to make a lot all at once because it does take a little bit of practice to get used to how much masa and how to spread it. I think starting with three dozen is a manageable amount for the first time. I was ready to be done. Try it! You’ll love them! And the cookbook, Tamales 101 has quite a few vegetarian recipes in it. As well as the dessert ones, which I had never had before. No wonder you get distracted and derailed at your farmer’s market–the choices you have! 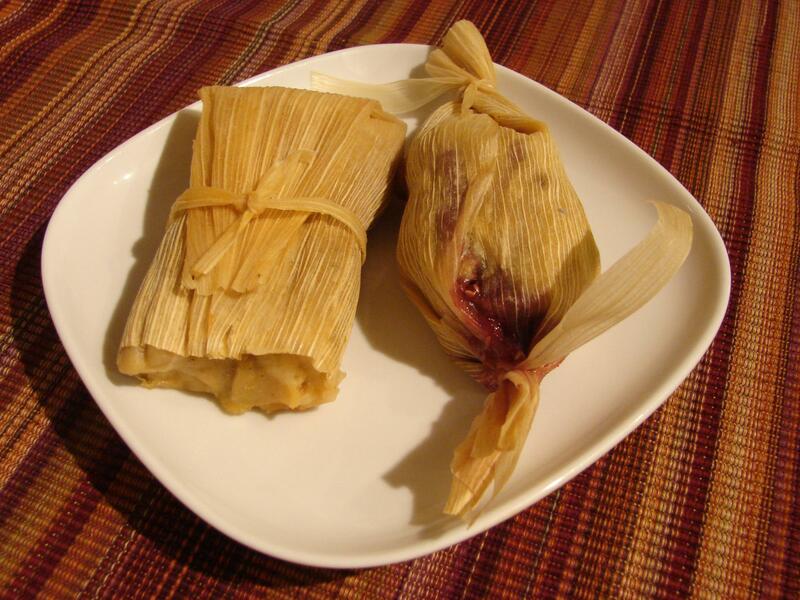 I’ve always thought it would be fun to make tamales, but all I ever do is think about it. I’m with Scrumptious–Wish we were neighbors and we could all get together over one of your dinners. Tamales would be fun to make as a group. That’s traditionally how they do it too…since it is so much work. 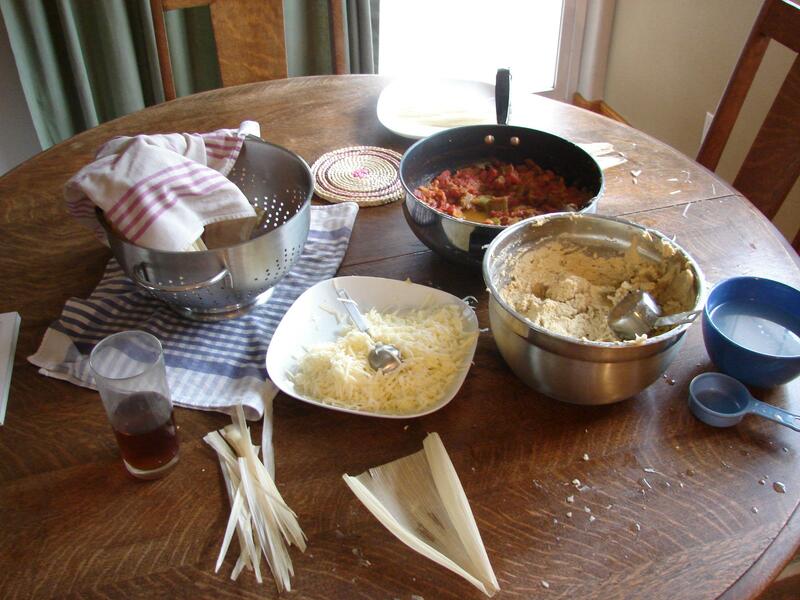 We should have a gluten free tamale making meet-up some where, some day! Yes, it was a good farmer’s market day. The mushroom guy was teasing me because I was thinking so hard about how many I wanted and how much cash I had left. I make myself stick to an allowance when I go because otherwise I would buy way too much stuff. This week was pushing it. I hope I can get to all the yumminess in time! I agree with “scrumptious.” Your menu IS stunning! Super cool on the tamales. I have the masa harina, but haven’t used it yet. To be truthful, I buy it, then there’s a call for food bank needs, I donate it and other stuff and then I buy more. So I’m like Wendy … just thinking about the tamales or homemade tortillas, etc. Just had a bit more of your honey cinnamon tonight on the side of my dessert tamale! Wonderful flavors! We want to make pumpkin dessert tamales next and the honey cinnamon would go even better with those!!! I know what you mean about buying certain ingredients and not using them. I have a few of those here too. I have been cleaning out and eating up some stuff around here lately and whatever isn’t still edible gets fed to the chickens! I might have to try making tortillas too with the leftover masa. Or pupusas. Or arepas… so many yummy options! Love all the tamales! That reminds me that I haven’t made pupusas in a long time. The cucumber and avocado soup sounds good, too. I might have to try making pupusas with my leftover masa… I have never made them, just eaten them! Send me a recipe if you have one! I LOVE tamales! I am salivating over here! ha ha, I think I’m going to have to make tamales this week! The last time I made them was probably 5 or 6 months ago. Wow, 5-6 months ago! You’re hard-core! :-) Around here people make them only make them in the fall, which is understandable since they’re so much work and they’re a warm and snuggly food. So we felt weird making them in July!!! But I guess we’re already talking about making some more too. What are your favorite flavors, Rachel? what class of vacuum is best for your needs. Pick the best vacuum-cleaner can be perplexing. to find on a hoover, and desire you kind of floors you’ll be employing a vacuum cleaner on.